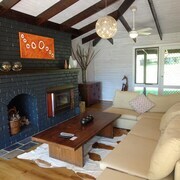 Situated in Bellingen, this cabin is within a 15-minute walk of Bellingen Park and Bellingen Museum. Bellingen Golf Club is 0.8 mi (1.2 km) away. 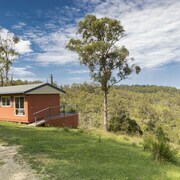 Situated in Ebor, this cottage is within 1 mi (2 km) of Moffat Falls and Point Lookout. Ebor Falls is 15.5 mi (25 km) away. 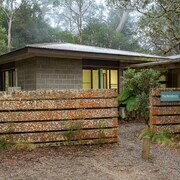 Situated in a national park, this cabin is within a 10-minute walk of Moffat Falls and New England National Park. Point Lookout is 0.6 mi (0.9 km) away. 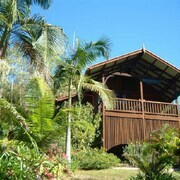 Koompartoo is a beautiful retreat, its like you’re lost in a beautiful tropical rainforest, it’s so peaceful and relaxing. The wooden chalet is very well kept and very clean, very cosy and warm. I had an amazing stay, I wish I could have stayed longer so I’ll definitely come back! Which hotels are closest to the Dorrigo airport? 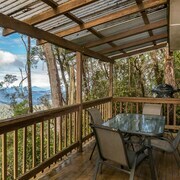 Where to stay near top Dorrigo attractions? Which hotel chains are in Dorrigo? Visitors are sure to enjoy all that Dorrigo has to offer. The closest major airport is in Coffs Harbour, NSW (CFS) 40.6 from the city center. A favorite place to visit in the city is Dangar Falls. 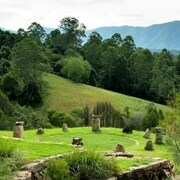 In the area, you'll also find Dorrigo National Park and Hammond & Wheatley Emporium. As you plan your getaway to Dorrigo, you may not find the perfect place to stay centrally, but here are some lodging options around the area. 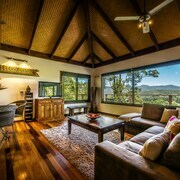 Lookout Mountain Retreat is located 4 mi from the heart of Dorrigo. 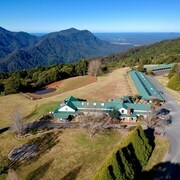 This 3-star motel in Dorrigo Mountain features a restaurant, free WiFi, and free parking. 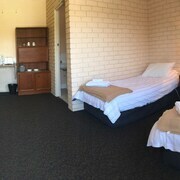 Our customers like its helpful staff and clean, comfortable rooms. 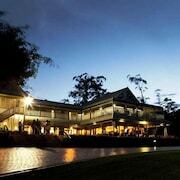 Bonville Golf Resort is 20.8 mi from central Dorrigo. 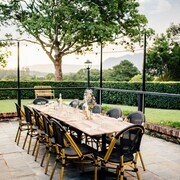 Guests who stay at this 4-star hotel in Bonville can enjoy access to a golf course and a restaurant, along with free WiFi. It's a favorite with Expedia travelers for its dining options and quiet location. 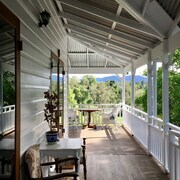 Bellingen Valley Lodge is 14 mi from the center of Dorrigo. 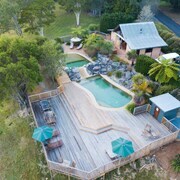 Guests who stay at this 3.5-star motel in Bellingen can enjoy access to free breakfast and a restaurant, along with free WiFi. Our customers like its dining options and clean, comfortable rooms. 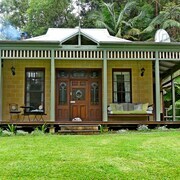 What are the most popular hotels in Dorrigo? Are there hotels in cities near Dorrigo? 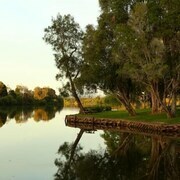 Explore Dorrigo with Expedia.com.au’s Travel Guides to find the best flights, cars, holiday packages and more!